CarGurus has 13,156 nationwide Outlander Sport listings starting at $4,990. 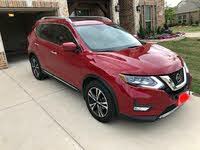 The average American family is looking for a compact crossover wants one that will provide serious value for its money without straining the budget. The 2017 Mitsubishi Outback Sport offers a surprising number of standard features and creature comforts at a low price point, even on lesser trims, but that’s about it. This 5-seat mini-ute comes with a choice of two uninspiring engines, a less-than-accommodating cabin, and average-at-best cargo space. As for driving excitement? Forget about it. The 2017 Outlander Sport is available in four trims: the ES, SE, SEL, and GT. New standard features across the lineup include automatic climate control and a shark-fin antenna. The 2.4-liter engine is no longer offered for the ES trim, and the GT trim now comes exclusively with all-wheel drive (AWD), which remains available across the lineup. 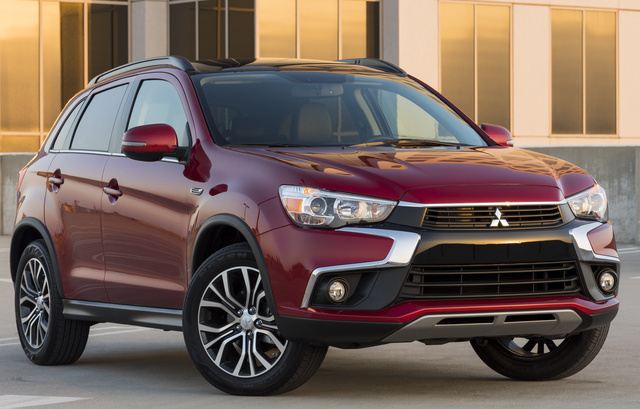 The Outlander Sport ES trim features a 2.0-liter inline 4-cylinder (I4) engine that is mated to a 5-speed manual transmission for an output of 148 hp and 145 lb-ft of torque. A continuously variable transmission (CVT) is an option with FWD and comes standard with AWD. Gas mileage is estimated at 23 mpg city, 29 highway, and 26 combined with AWD; 24, 30, and 27 with the CVT-equipped FWD; and 23, 29, and 25 with FWD and the manual transmission. The FWD CVT-equipped Outlander Sport can reach 60 mph in 9 seconds, which is about average for the segment. The Outlander Sport SE, SEL, and GT trim levels carry a 2.4-liter I4 matched with a CVT to put out 168 hp and 167 lb-ft of torque. This engine is EPA rated at 23, 28, and 25 with FWD and 22, 27, and 24 with AWD, and it boasts impressive 0-to-60 times of 8.6 seconds with FWD and 8.3 seconds with AWD. However, neither powerplant is particularly potent in passing and merging situations, and the Outlander Sport belies its athletic label with its lazy steering, a suspension that allows a little too much body roll while cornering, and shock absorbers unable to tame rough pavement. With a base MSRP of $19,795 for the ES trim, the 2017 Outlander Sport is impressively well-equipped with features like heated side mirrors, 18-inch alloy wheels, cruise control, remote keyless entry, and a 140-watt audio system with 4 speakers. The SEL trim level adds standard leather upholstery, while the top-shelf GT trim comes with a panoramic sunroof and a premium 9-speaker Rockford Fosgate audio system. Available add-ons include remote engine start, a roof rack, rear parking sensors, a 7-inch touchscreen with GPS navigation, and added exterior chrome. Despite these niceties, the Outlander Sport’s cabin is not quite the lap of luxury—cheap plastics dominate, the interior is cramped, and the rear seats are suitable only for children. Soundproofing also leaves a lot to be desired, especially with CVT-equipped variants. Cargo space is about average for the segment at 21.7 cubic feet, but can be extended to 49.5 cubic feet by folding the rear seatbacks. With the optional Rockford Fosgate cargo-bay-mounted subwoofer, toting space is cut to 20.1 and 48.8 cubic feet. The 2017 Outlander Sport features standard 4-wheel antilock brakes (ABS), traction and stability control, front side-mounted airbags, full-length side-curtain airbags, a driver’s knee airbag, turn-signal-integrated mirrors, and a remote antitheft alarm. The SE trim adds a reversing camera and fog lights, and the GT is delivered with standard xenon high-intensity-discharge (HID) headlights. The National Highway Traffic Safety Administration (NHTSA) gave the 2017 Outlander Sport a score of 5 stars for overall crashworthiness, with 4 stars for frontal-impact protection and 5 for side-impact protection. The Insurance Institute for Highway Safety (IIHS) awarded the 2016 Outlander Sport an Acceptable rating in small-overlap frontal-offset tests—which is actually a better score than that of many of its competitors—and a Good rating in all other test criteria. Nonetheless, rivals like the Ford Escape, Honda CR-V, Nissan Rogue, and Toyota RAV4 all still manage to outclass the Outlander Sport in style, performance, and driving enjoyment. What's your take on the 2017 Mitsubishi Outlander Sport? GuruTPCSC The latest 0-60mph times recorded by Road & Track and another Magazine tested times of 7.9 and 7.7 seconds. In fact the Outlander Sport 2017 is one of the fastest in the segment without turbo. Car reviewers should test cars based on their purpose. Suv/Cuv's are not meant for speed or lateral acceleration. 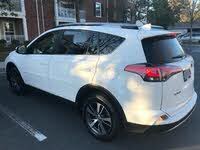 I have a 17' Outlander Sport SEL and it does the opposite of what you say. It handles great and rides very smooth on America's crappy highways. In fact stick it in manual mode and it fies from the signal. Users ranked 2017 Mitsubishi Outlander Sport against other cars which they drove/owned. Each ranking was based on 9 categories. Here is the summary of top rankings. Have you driven a 2017 Mitsubishi Outlander Sport?